Sorry, this job expired on Aug 26, 2018. Below are other jobs that may be of interest to you. Schulson Collective is growing and we are looking for experienced Beverage Managers to join our team. Qualified candidates must have experience in developing cocktail and wine programs to include managing inventory, costing, training & managing staff and updating according to industry trends. This is a salaried only position that does not include shifts behind the bar. We are looking for experienced Managers looking to take the next step in their career. 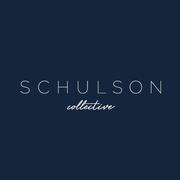 For more information on the Schulson Collective, please visit www.michaelschulson.com. Today, Schulson is the owner of day-to-night destination Double Knot; the expansive Independence Beer Garden; Sampan and the adjacent Graffiti Bar; and serves as chef-partner at Izakaya at Borgata Hotel, Casino & Spa in Atlantic City, N.J. Schulson recently opened new-American spot Harp & Crown in Philadelphia’s Rittenhouse Square. Later this fall, Schulson will open contemporary izakaya Monkitail in Hollywood, Florida. Today, Michael teams with his wife, Nina, in their efforts to expand the Schulson collective. Most recently, Schulson’s Harp & Crown was recently named one of the "most beautiful restaurants of 2016" by Eater National. Double Knot has also received numerous accolades including “three bells” from The Philadelphia Inquirer, three stars and the title of “2016 Best New Restaurant” from Philadelphia magazine and was named one of the “15 biggest restaurant openings of 2016” by Zagat.